On Tuesday morning, Congressman Luis Gutiérrez joined families facing deportation to demand that President Obama take aggressive action to stop the deportation crisis damaging families across the country. 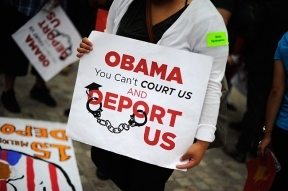 Last week, President Obama announced that he would take Administrative action to help stem the deportation crisis. This comes after a year of House Republicans blocking a vote on the Senate’s bipartisan immigration reform. Also at the press conference were two families who shared their stories of how deportations have affected them and their respective family. Two families affected by the deportation crisis, those of Agustín Corona (A089-278-003) and Wilson Gomez-Pú (A077-662-858), offered personal testimony and echoed the call for the President to act swiftly and boldly to address this broken system. 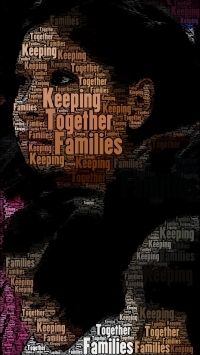 ICIRR announced a new website, www.ILisready.org, that will include information about any action that President Obama announces in regards to immigrant families and how communities can prepare for potential immigration relief.